Heat oven to 425°F. Lightly spray 12 regular-size muffin cups with cooking spray. Onto lightly floured work surface, unroll dough. Press dough into 12x8-inch rectangle. Cut into 12 squares. Place 1 square in each muffin cup, gently pressing dough in bottom and up side of each cup. In 3-quart saucepan, heat olive oil. Add spinach; cook and stir until wilted, about 1 minute. Add artichokes and cream cheese; stir until cheese is melted. Stir in pesto. 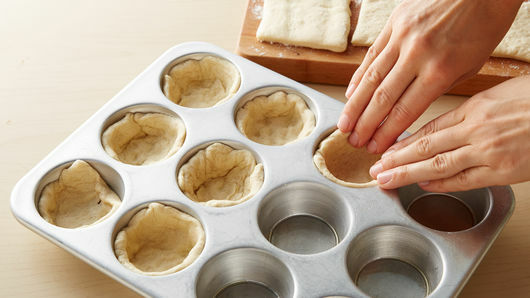 Divide mixture evenly among dough-filled muffin cups. Bake 10 to 12 minutes or until crust edges are golden brown. Cool 5 minutes before serving. Skip a step! 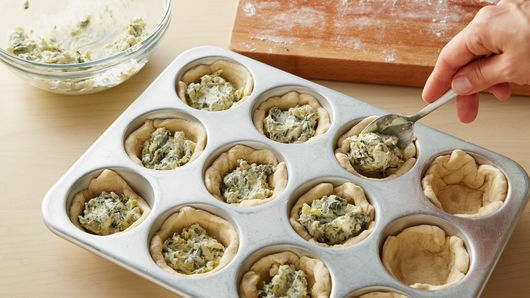 Buy jarred or frozen spinach-artichoke dip for the filling instead of making your own. 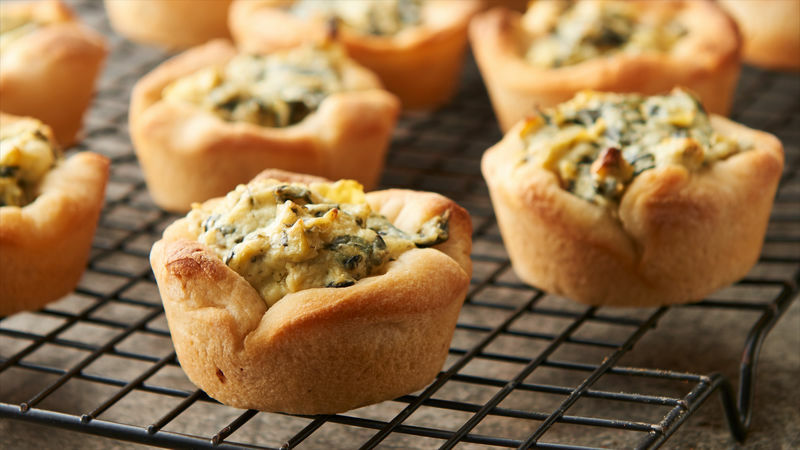 Make these extra cheesy, and add a sprinkle of Parmesan cheese on top before baking.